This isn't the post about bookshelves that I had planned for today, but my posts rarely turn out the way I schedule them. We'll get to that another day. I'm flexible, and wanted to share a quick craft with you today that you will love if you have a daughter, a niece, a friend, a teacher, or need a birthday gift. This is such an easy project. If you can cut and hot glue, you're good to go! 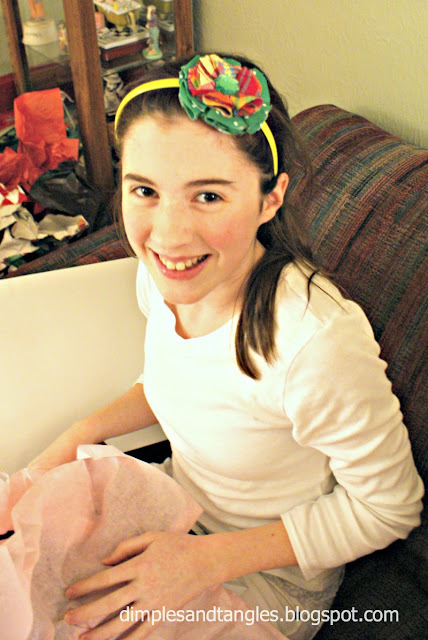 This year for Christmas one of my nieces requested "headbands." No other specifics, just headbands. So, I pulled out my fabric scraps and went to town! Tip: Save an old pair of jeans, khakis, t-shirts, or a blouse that you don't want anymore if the design on it is cute. That red floral fabric is from a pair of pants that I bought at the thrift store, just to use for the fabric. All of these items are perfect to reuse for making flowers. For several years this tutorial from Shelley at House of Smiths has been one of my favorites for making flowers. I've used it for headbands and used an alligator clip on the back for hair clips, a fun accessory for a jacket, and even clipped them on my hats. 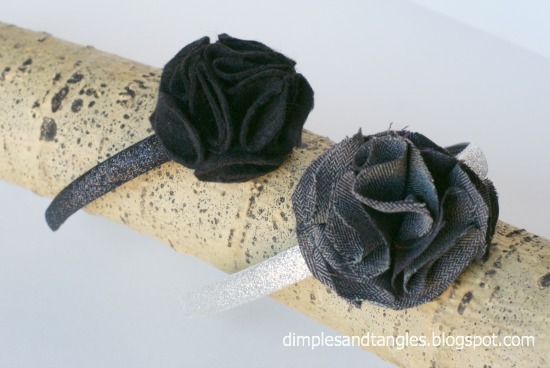 Random buttons or sparkly jewels are perfect for the center. Another of my favorite flower tutorials is from Julie at Less Than Perfect Life of Bliss. I made a few of them for gift wrap accessories at my Present Wrapping Party, and they also work well for belts or brooch type pins. My daughter is anti-headbands (they pinch!) so we stick with alligator clips on our flowers. Valentine's Day is less than a month away! I'm sure any of the girls in your life would love a pretty little package filled with fabric flower accessories! those are so fun!!! i love the fun fabrics you used! 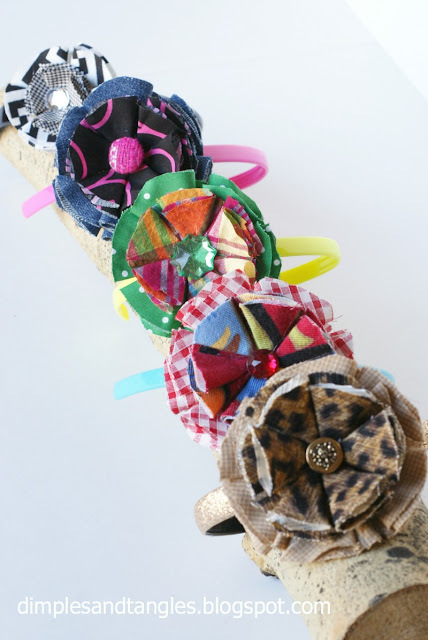 How cute - and fun project to make as gifts! Love the fabrics you chose! 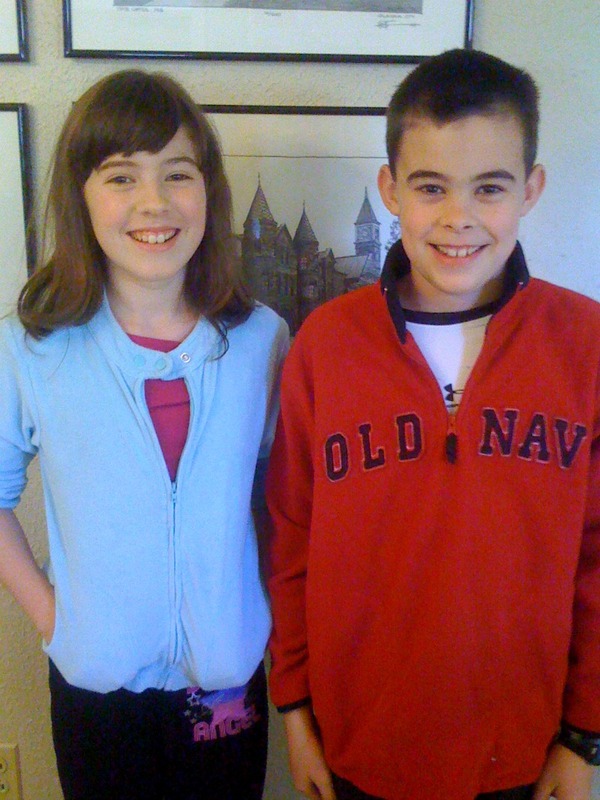 Your niece and son DO look so much alike…..both adorable! 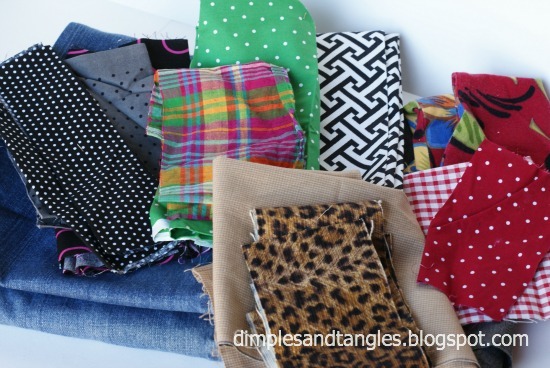 Those are so cute- hmmm......maybe I should sort through all of my fabric scraps? Very cute - great gift idea!